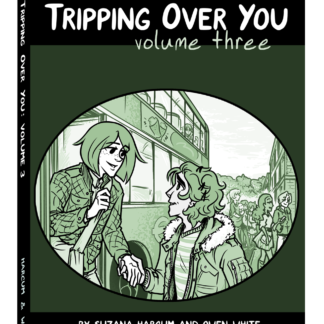 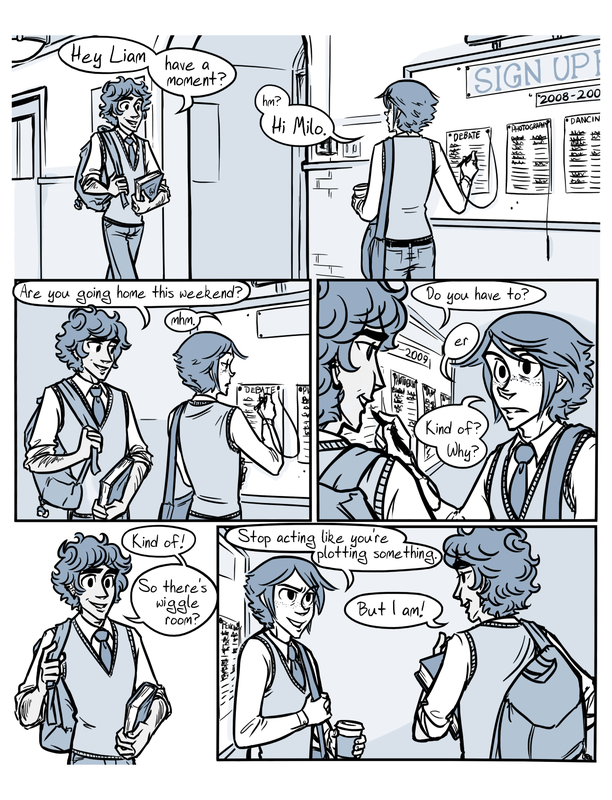 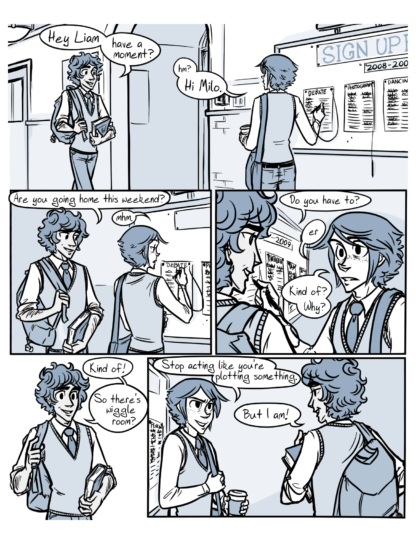 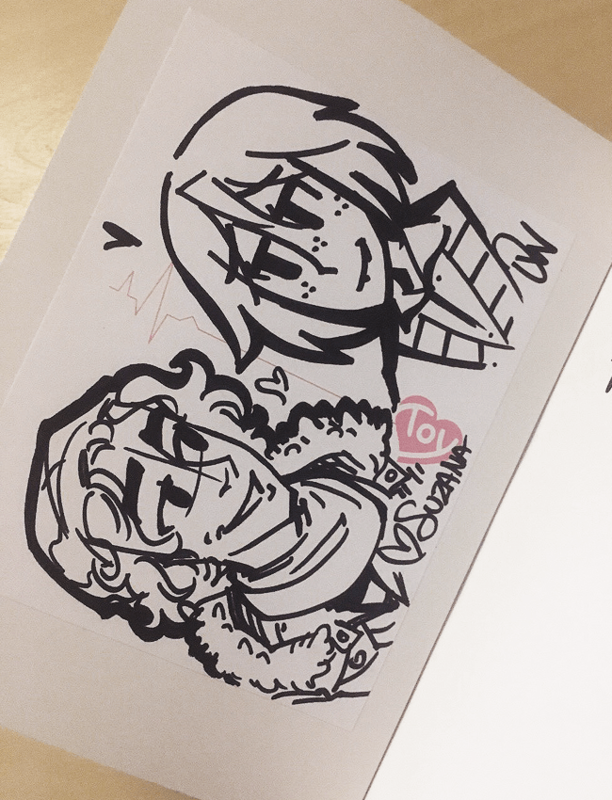 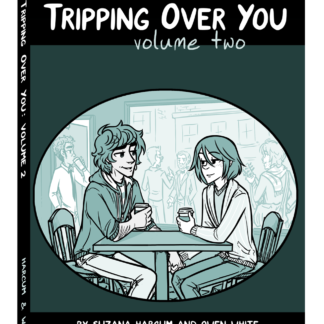 The printed edition of Volume One of Tripping Over You, containing the first four chapters of the comic. 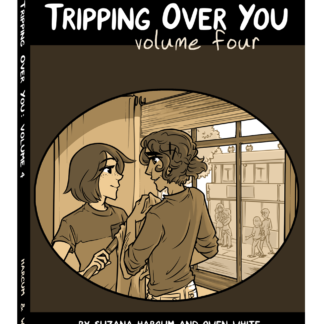 This book also contains the comic’s prologue, and the intermission mini-comics between chapters. Volume One of Tripping Over You. 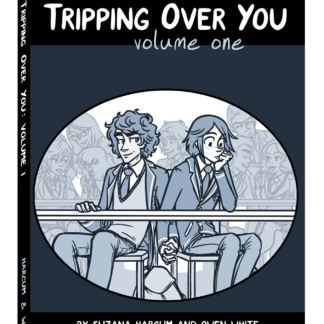 Contains the prologue, chapters 1-4, and intermission mini-comics. 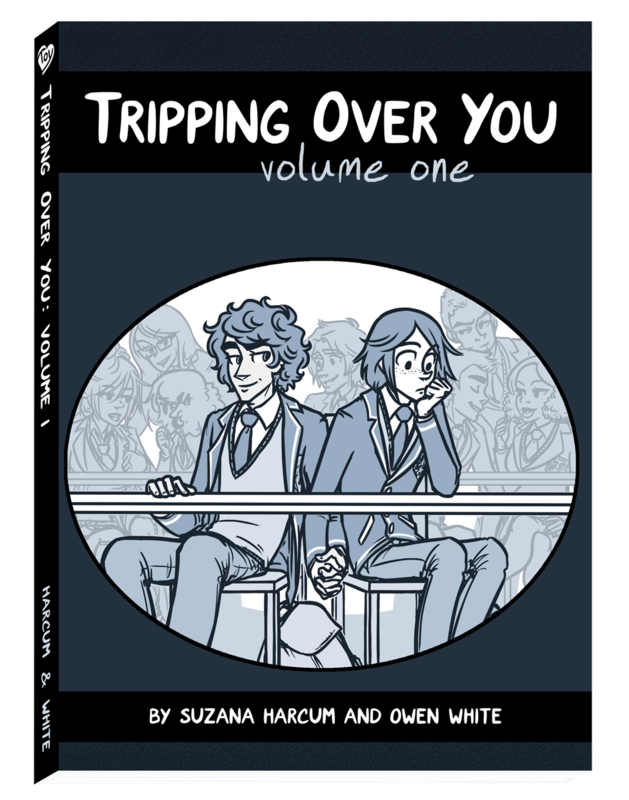 150 pages in monochrome color, perfect bound, offset.